Bring an element of traditional style to your home with this handmade area rug. 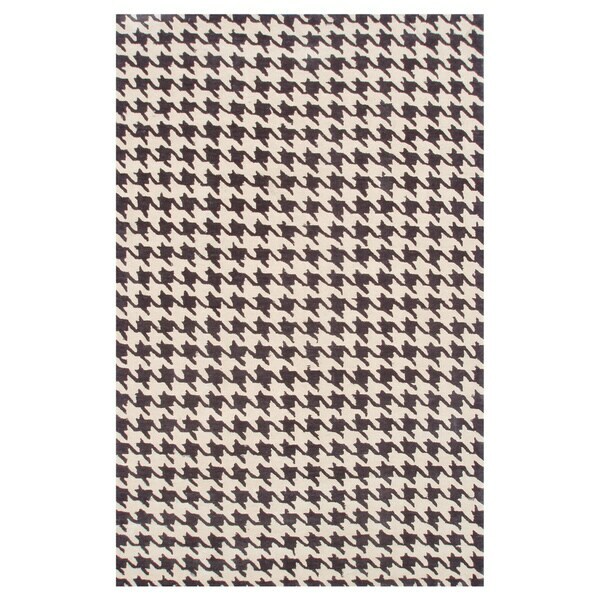 Featuring a classic houndstooth design in neutral grey and cream colors, this area rug is well-suited for a living room, den, or home office space. 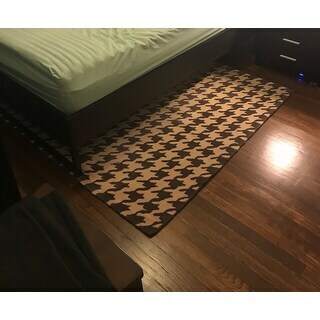 There is no Grey in this rug, it is dark brown and cream.